Because different world mints vary considerably in their timing and methods of releasing information, and communication, some of the links from this page may be in development until sometime in 2014. We try and stock new issues from around the World, including China, Australia, and the U.K. 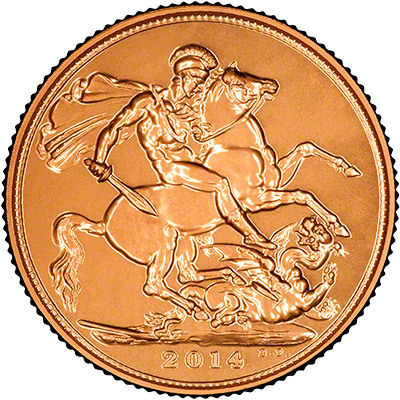 The 2014 sovereign features the classic St George and the Dragon design. We received our first delivery of the bullion sovereigns on Friday 15th November and the proof version on Wednesday 18th December 2013. The same classic design as the sovereign and we received the proof version in stock before Christmas 2013. Last year The Royal Mint decided not to supply the uncirculated version to the trade so if you are adamant it is the 2014 uncirculated half sovereign you are after I'm afraid you will have to go direct to The Mint. The same design as the sovereign, the Royal Mint refused to sell the 2013 uncirculated version to the trade and the 2014 is the same. We received the 2014 proof version in stock before Christmas 2013. The five coin set contains the five coins of the sovereign family - from the �5 down to the quarter sovereign. We received these during late December 2013 and are able to offer them at over £200 cheaper than The Royal Mint. The first ever Lunar Coin issued by the Royal Mint, we received our first order of the bullion version in January 2014. Free from Capital Gains Tax the Britannia is one of the most popular bullion coins. Produced in 24 carat since 2013, we have these in stock for immediate delivery. Of all 4 weights, from the 1oz down to the 1/10oz coin. We didn't stock these during 2013 as we were unable to buy them in the trade. We will see what we can do this year. A good alternative to the proof sovereign. Usually released about August. We probably won't stock them until they are available on the secondary market. 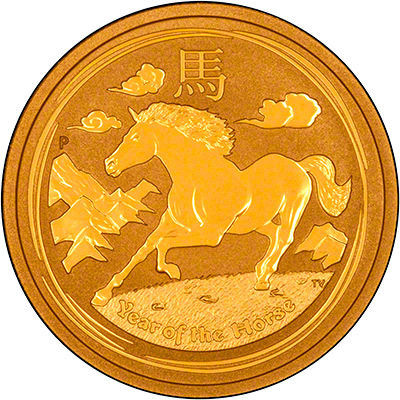 We have the2014 Year of the Horse Gold Coins and the 2014 Australian Gold Nuggets in stock now. 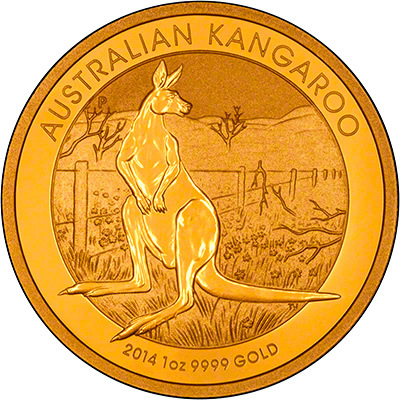 As we are now prime distributors for the Perth Mint in Australia we receive our stock of the next years' issues in the Autumn of the previous year. The Year of the Horse is one of the most popular of the Chinese Lunar Calendar series. A different design every year, the Panda is a very popular series. We received our first delivery on the 20th December 2013. We have recently aquired a 2014 70th Anniversary of D-Day Three Coin Set. Only one available - once it's gone, it's gone! The U.S. are issuing two one ounce gold coins, we hope to have the 2014 Eagles and 2014 Buffalos in stock during 2014. More 2014 gold coins to follow.